Already the shops are filled with more stuff for the next big gift-giving event: VALENTINE'S DAY. Heart-shaped cushions, bright red mugs, cutesy teddies, boxes of chocolates - the choice is endless. 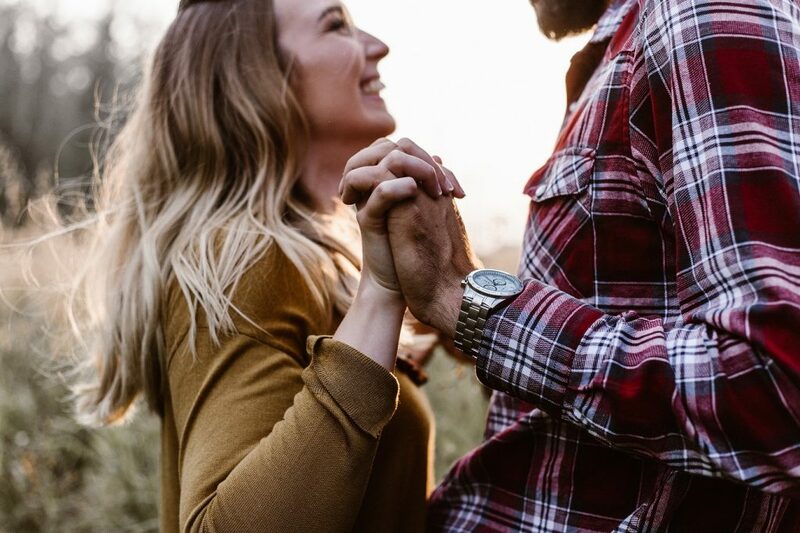 Money spent on Valentine's Day in 2018 topped £650m making it one of the biggest retail events of the year, as millions of us rushed out to buy gifts that show our loved ones just how much we care. Wouldn't it be nice instead to share an extra special weekend away with your loved one this Valentine's Day, rather than spending money on yet more things to fit into your home? They'll appreciate your presence more than your presents. How about sharing a weekend with your loved one on the Cornish coast this Valentine's Day? Leave the hustle and bustle of work behind, head to Cornwall this February and be cosy and warm in your beach-side apartment by dinner time, just in time to open your complimentary bottle of wine and put your feet up to unwind in luxury surroundings. What more could you ask for this Valentine's Day? What's included in the Valentine's package? Make memories that will last long after Valentine's Day. 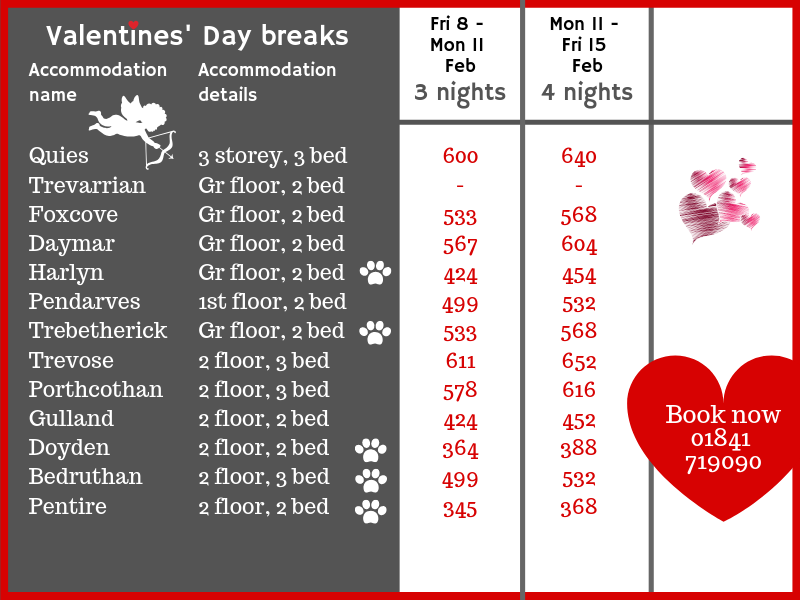 Book your Valentine's short break by calling 01841 719090 and make this February 14th extra special. Push the boat out with a romantic weekend worth remembering. 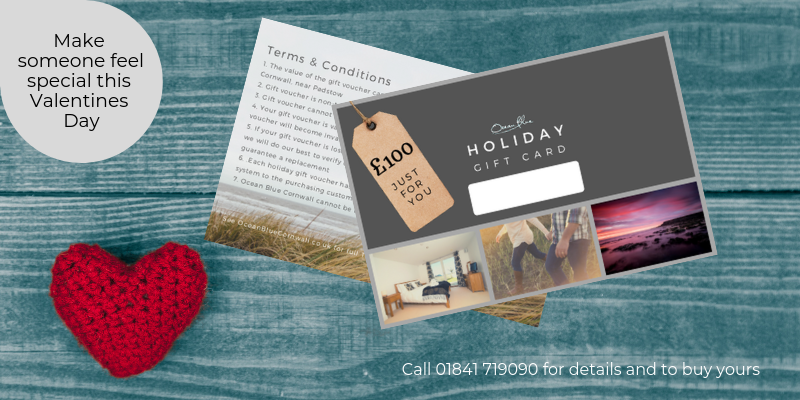 If you don't know what dates you'd like to book, why not buy a holiday gift voucher at Ocean Blue Cornwall, to unwrap together on the 14th February?